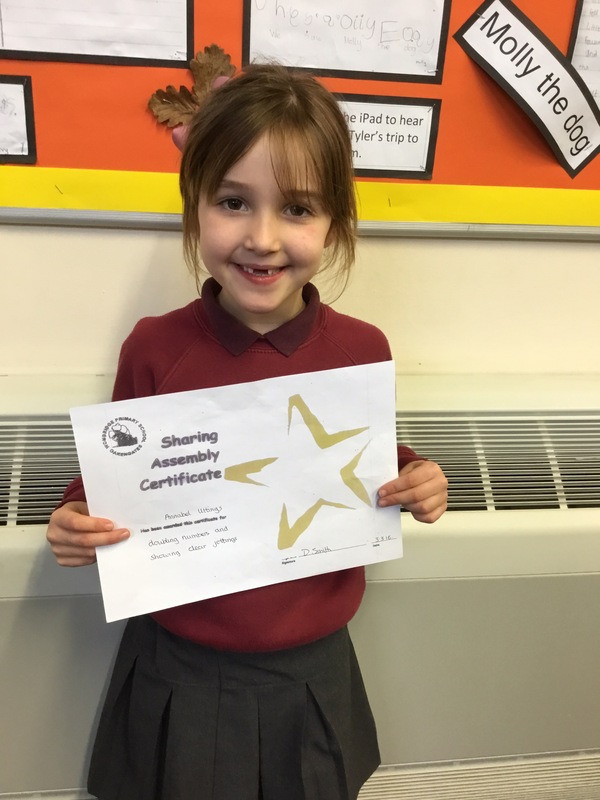 Today in assembly Annanbel received star of the week for doubling numbers and showing clear jottings. Well done Annabel, keep up the good work. What have you done to get star of the week? Now we are year 1 children we are practicing our reading and will take turns reading in story time each day. What do you want to read? We have really good summer holidays but we’re glad to see all of our friends again and find out what we’re learning this term. What did you do over he summer holidays? We have had lots of fun over the summer holidays but we are happy to be back at school, seeing our friends and finding out about what we will be learning this year. What are you looking forward to learning? We founds lots of material when we were tidying this week, so we thought we would use it to make our own big 3D reef under our barn shelter. What colours did you use? The whole school gathered together today to cheer each other on in the throwing competition. New champions were found and the school record was beaten! How far did you throw it?